Dartmouth Court is an existing apartment building situated in Greenwich, in south east London. 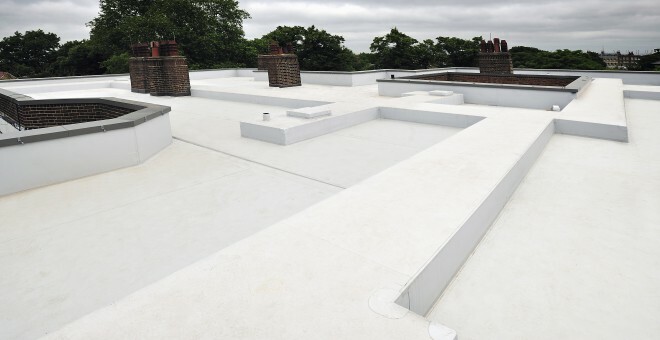 The existing roof system was of considerable age and required renewing to ensure against future water ingress. 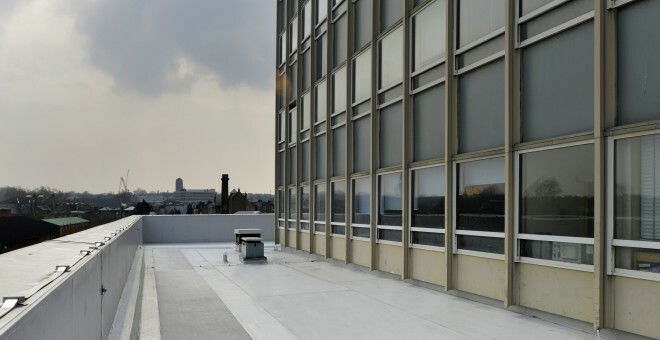 Following a site survey and tender process, we were appointed to undertake the complete re-roofing of the building. We were awarded this contract by Wates Retail to undertake a full over-roof of the existing failing asphalt roof system. The building was experiencing multiple leak issues over recent years and these needed to be rectified in order for the building to be refurbished internally.